Learning how to take pleasure from living can’t be taught. Unfortunately many people do not consider fun an important item on their daily agenda. Like Chuck Yeager, Domesticated Dogs require F-U-N, and bow wow do they know howooo to have it! Whimsical, delightful, carefree, reckless, unpredictable, teasing, wild, irrepressible…whatever form Play takes, one thing’s certain: there will be lots of teeth! Play is not serious, but it sure can look Fierce…. 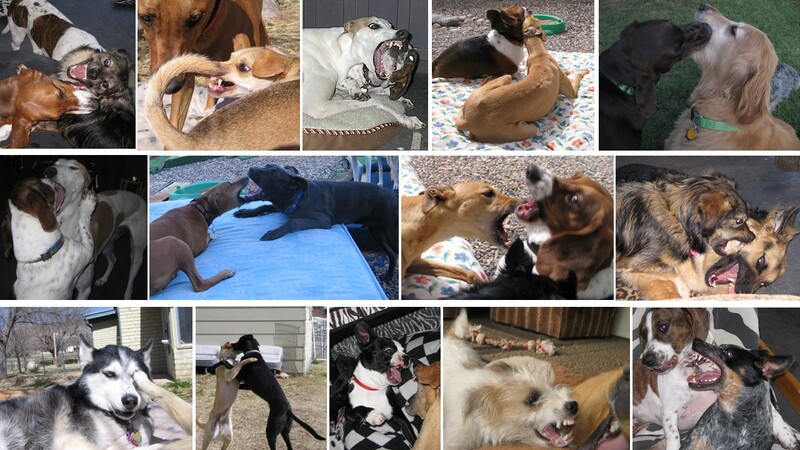 A lot can occur simultaneously when a Pack of Domesticated Dogs gets wound up! And believe me, keeping everyone Safe while allowing them the freedom to be themselves is harder to do than it sounds. Two Pups can Play together nicely, three Pups can as well. Each additional set of weaponry (teeth) introduced into a high-energy situation brings with it more potential for misunderstandings to occur. Canine Kids don’t Play like TwoLegged Kids! 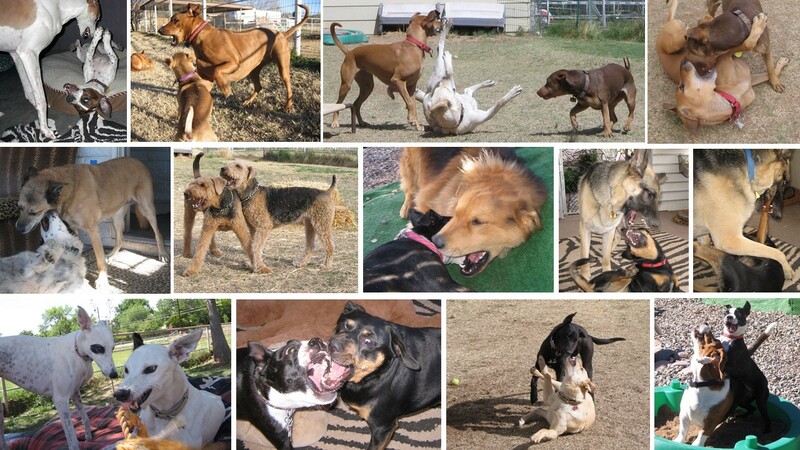 When Pups are having Fun their way (mock fighting), I concentrate on the sounds being made rather than on howooo the activity looks. 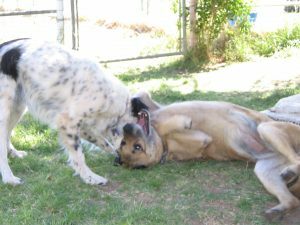 Over the years, Cimi and Harley provided me with quite an entertaining Playtime Education. They showed me howooo when they were just messing around, only one of them would make the sounds of an aggressor and howooo they took turns being submissive or aggressive (and bow wow do I have the movies to prove that they each gave as good as they got!). Cimi had her paws full with Harley! His boundless energy meant he was always taking a frisky nip at a leg or boisterously body-slamming her. I observed howooo the level of their high-energy roughhousing would reach a point where, usually by mutual agreement, it needed to stop. Their ‘signal to desist’ came in the form of full-body shakes. I’ve also noticed that when Domesticated Dogs get themselves too worked up and grrrrowly, their bodies intercede and they start choking/coughing on their own nastiness. Yip yap yup they do! 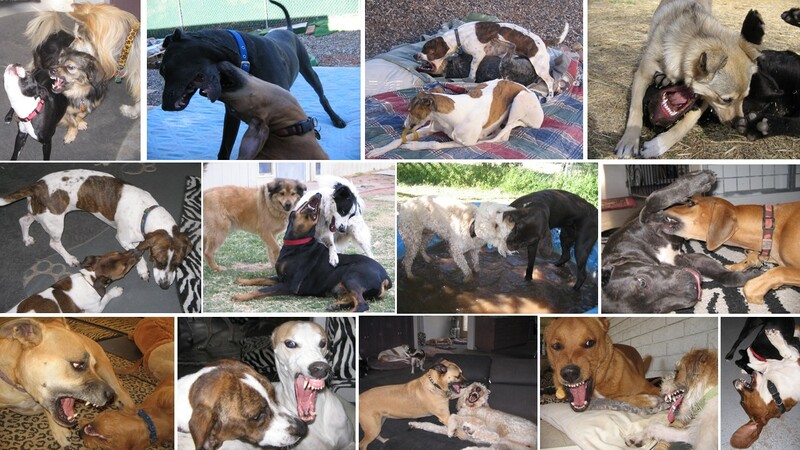 Pups have shown me howooo they are usually Self-monitoring and Self-regulating…but they still require watching. 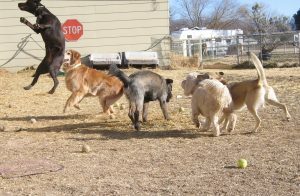 Being Responsible for a Pack of Domesticated Dogs who are not all ‘mine’, meant quashing over-excitement before it had a chance to escalate into something more. And then sometimes things just happened. 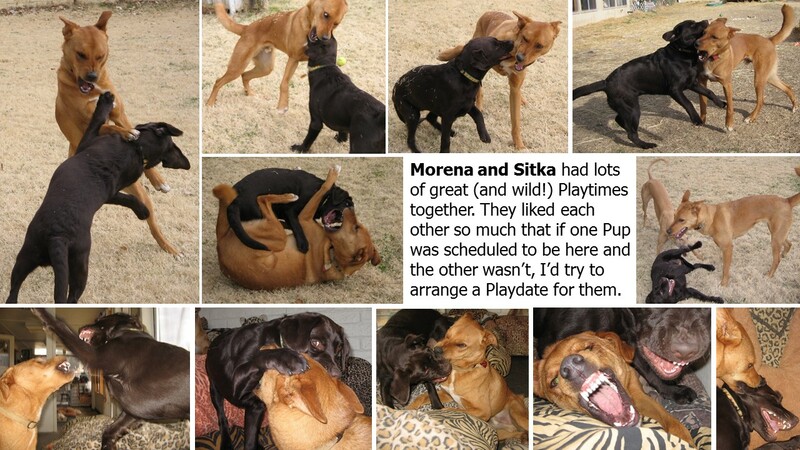 Morena and Sitka once Played together so roughly…and happily…that Sitka walked away with a torn neck (and didn’t seem at all bothered by it). 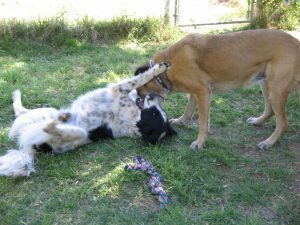 Often the two Pups would be totally exhausted but still want to Play. So they’d lie flat on their sides or backs and lunge at each other with just their teeth–like snapping turtles–the whole time making silly, shrill sounds. This type of Play could (and would) go on and on and on! Got a question about Playtime? Contact me. 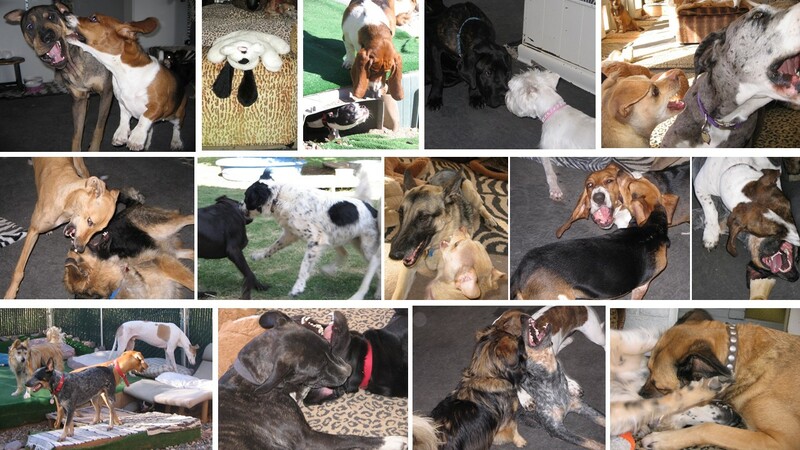 See more photos of Sitka: Play B-a-l-l !! !